Treat your family to a Canadian adventure they will never forget. 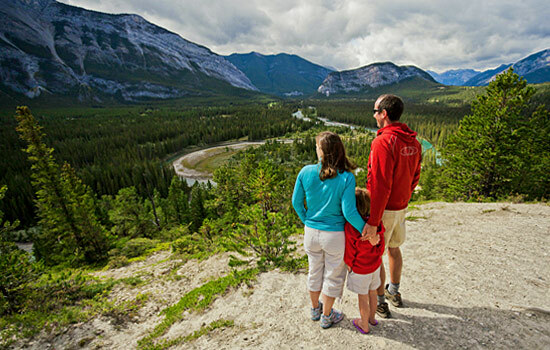 Experience the best of the Banff National Park with hand-picked activity options to suit every family member. Save the best for last with majestic, unspoiled views as you hike high above the tree line in the Columbia Mountains. Staying in a mountain lodge accessible only by helicopter, explore an environment few people get to experience. After such a unique adventure, your family will be talking about this vacation for years to come. The Moose Hotel and Suites is a new property operated by the Banff Lodging company. Designed with warm, rich, natural materials, the Moose has an air of elegant sophistication. Just one minute from downtown Banff, the Moose features air conditioned One and Two Bedroom Suites. Guests enjoy access to the Meadow Spa and Pools as well as a complimentary Roam bus pass. 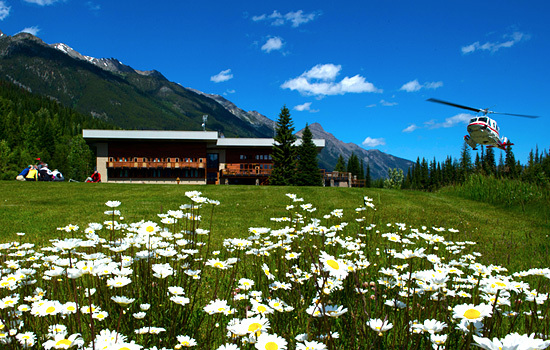 The Solara Resort & Spa is located in downtown Canmore and surrounded by the Canadian Rocky Mountains. Only a short walk to restaurant and shops, this is the perfect location for your stay in Canmore. Amenities include fitness centre, sauna, hot tub, and children's activity centre. 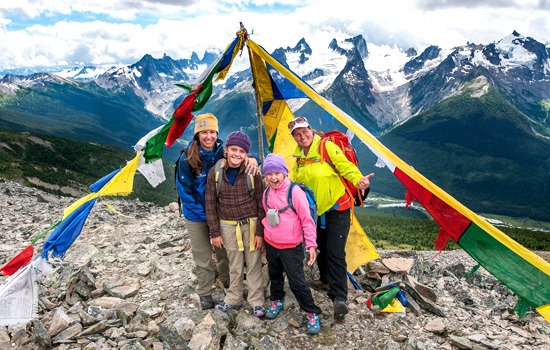 Located amid a sea of green flora, the Bugaboo Lodge sits at 1500 metres (5000 ft) high. Featuring 32 rooms with private baths, a sauna, steam room along with a game room, cozy bar/lounge area and inviting fireplace, there is plenty of opportunity for private respite and communal gathering with new-found friends. 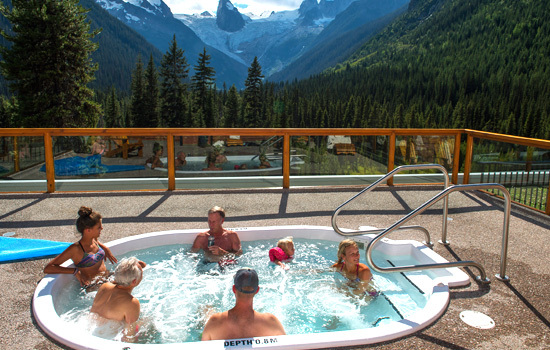 The rooftop hot tub boasts unparalleled views of this magnificent setting. History buffs will delight in the lodge museum. 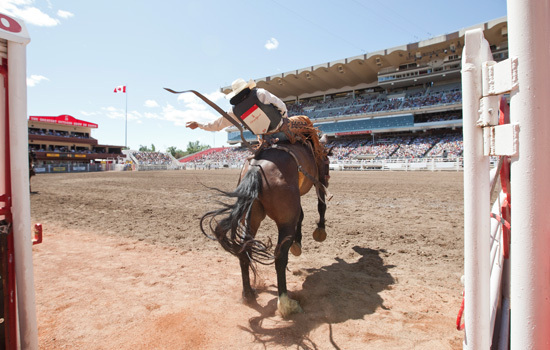 Conveniently located with direct access to the Calgary Airport's international terminal. The Calgary Airport Marriott In-Terminal Hotel offers breathtaking views and modern luxury. Amenities include an indoor pool, fitness centre, and onsite restaurant. Welcome to Calgary International Airport! Collect your rental car and drive to the town of Banff to begin your exploration of the Canadian Rockies. 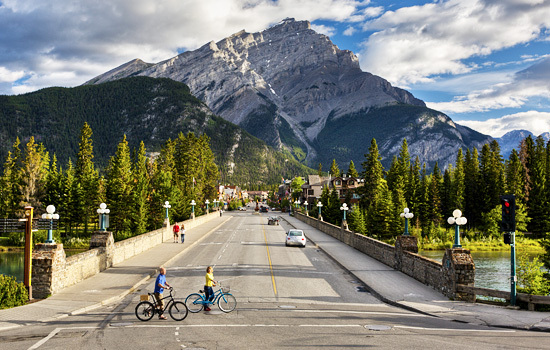 Banff is a unique destination – a UNESCO World Heritage Site with all the charm of a small mountain community. Breathe in the fresh Canadian Rockies air – you’ve arrived! Insider tip: Families seeking a more secluded location can stay in the quieter mountain town of Canmore, just a 30-minute drive from downtown Banff. 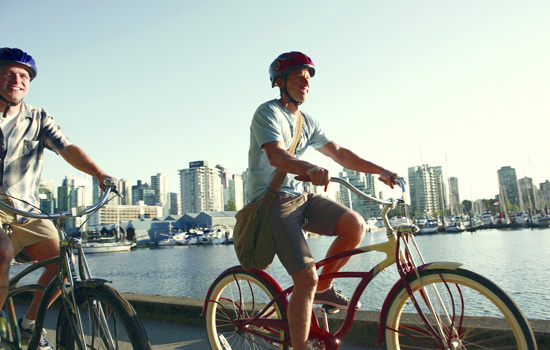 Activities are easily accessible from both locations. Please speak to your Vacation Advisor about your preferences. Fill your lungs with cool, fresh Rockies air and head out for a day of exploration. 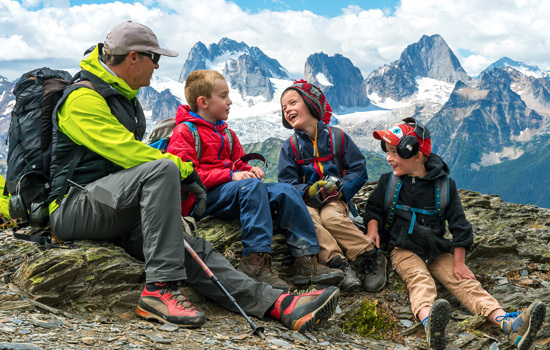 Today your activity options are all about getting the whole family excited for your heli-hiking adventure to come. 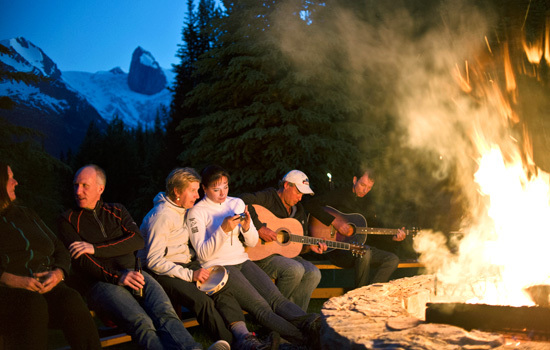 Challenge yourselves by learning new skills or simply enjoy the beautiful setting of Banff National Park. Winding through the picturesque landscape of the Rocky Mountains, your float trip is a great whitewater experience for families. Located in the front ranges of the Canadian Rocky Mountains, this 2–3 hour river trip offers the novice a thrilling and fun introduction to whitewater rafting. Insider tip: Looking for bigger thrills on your rafting trip? 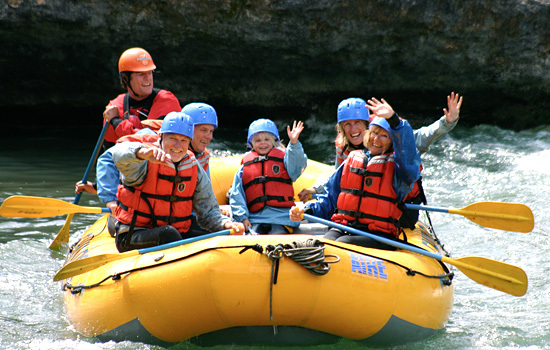 Ask your Vacation Advisor about including an exciting whitewater rafting tour with up to Class 4 rapids instead! Explore the Bow River in Banff in a big canoe! Join a group and a guide to learn about the river, work as a team and have fun! No experience necessary and fun for all ages! Starting at the base (1,660m) take the Scenic Alpine Shuttle or Sightseeing Gondola (depending on the day of the week) up to the village at 2,164m, all while taking in the views of the valley. From the Village, ride the Standish Chairlift to over 2,400m and experience 360-degrees of breath-taking views. Once at the top, surrounded by the iconic peaks of the Canadian Rocky Mountains, join a hosted trail walk. With your knowledgeable guide, explore Sunshine Meadows and take in the beautiful vistas. 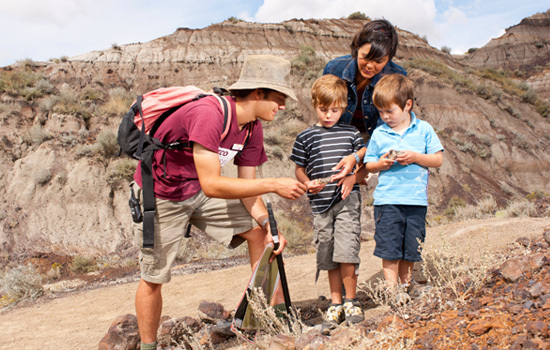 Continue to adventure through the Canadian Rockies today with family-friendly activities. Step out of your comfort zone and test your limits by scaling Mt. Norquay! Your guide will begin your day with an introduction to the equipment, before heading up into the mountains. 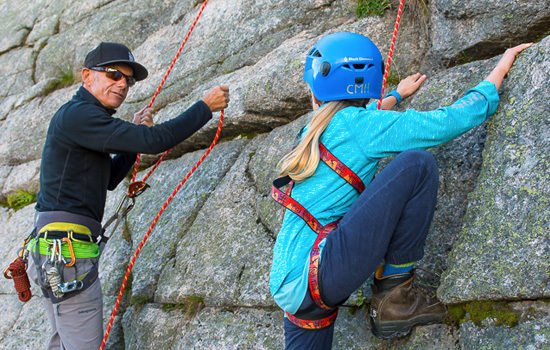 This 2.5-hour tour is a great introduction into the world of Via Ferrata, with an experienced guide leading you along, no experience is necessary. The highlight may be crossing a cable suspension bridge high up in the Canadian Rockies. Your hike will introduce you and your family to the amazing world of caves, spending approximately 2 hours underground crawling, sliding, and wiggling past prehistoric bones and investigating ancient cave formations. This activity takes place 30 minute from Banff and involves a 30 to 40 minute hike uphill to the cave entrance. This won’t be an experience you soon forget! Enjoy the mountain air on your trail ride along the base of Sulpher Mountain. Keep an eye out for wildlife, as you ride towards your delicious BBQ meal. 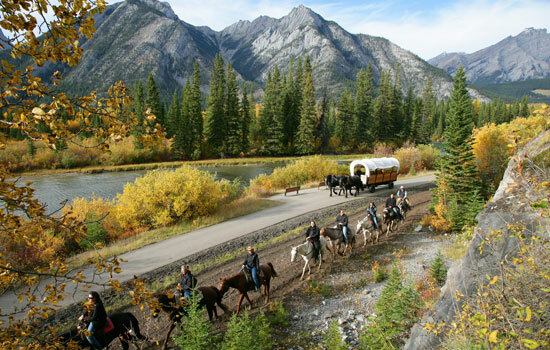 Relax trail side as your cowboy guides prepare a BBQ feast and treat you to genuine western hospitality. Your day comes full circle as you ride back along Sulphur Mountain Trail and climb up and around the Windy Knoll, where dazzling views of the sky-piercing mountains await. Enjoy a full day at your leisure. 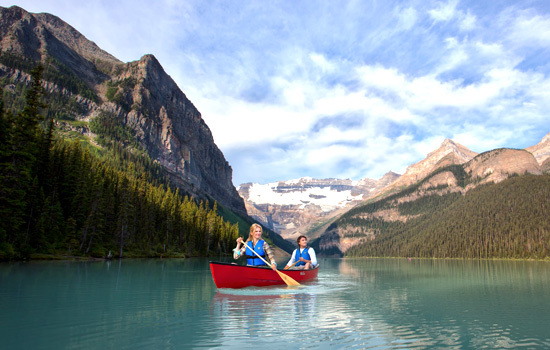 Use your rental car to visit the famous emerald waters of Lake Louise or explore the Icefields Parkway. There are also many activities right in Banff – from shopping downtown, to the Cave and Basin National Historic Site, or the Banff Gondola. Or simply relax and enjoy the amenities of your hotel and save your energy for your heli-hiking adventure tomorrow. Return your rental car in Banff this evening. 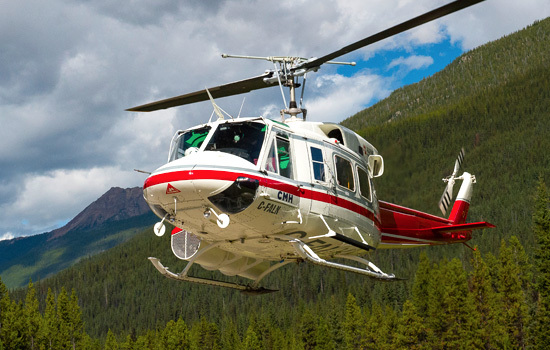 The excitement begins bright and early with a transfer to the heli-pad a few hours outside of Banff. Having returned your rental car, you can simply sit back and enjoy the view. 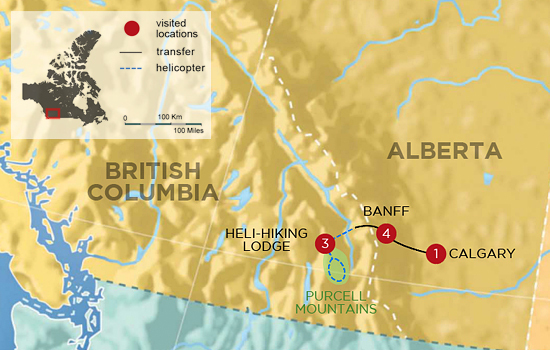 Your heli-hiking holiday begins with a flight to a beautiful lodge in the Columbia Mountains, accessible only by helicopter. Welcome to the world’s biggest playground! Families bond over exciting zip-lines, rock climbing, wild animals and jaw-dropping mountain views. Overnight at Bugaboo Mountain Lodge. Spend the next few days exploring the stunning terrain of the Columbia Mountains with your family. Hiking takes place between 1,828 metres (6,000 feet) and 2,438 metres (8,000 feet), which is a very comfortable altitude for most people. 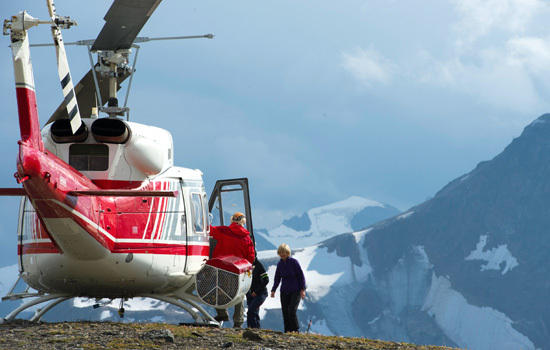 One of the greatest advantages of this heli-hiking adventure is the ability for your guides to tailor the hikes to accommodate all abilities, regardless of age. After your hike, which is as short or as long as you want, fly back to the lodge where trip leaders keep the kids occupied with games and crafts, and you relax after the day’s adventures. For dinner enjoy some of the best cuisine your eyes and taste buds have ever experienced. 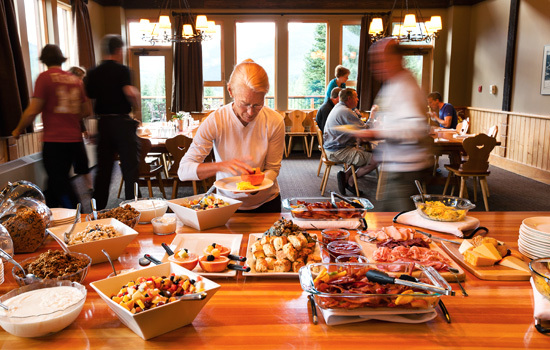 Dinner is served family style at long tables, allowing guests and guides to reminisce over the day’s adventures. Spend the evening sharing stories by the roaring fire, or relax in the whirlpool under starry skies. Enjoy seamless transportation today as you return by helicopter to the landing pad, and then continue with a transfer to the Calgary Airport. A post-night has been included at a Calgary Airport hotel so there is no need to stress about catching a flight. Enjoy one more evening relaxing with your family, reliving your unforgettable vacation. Much too soon you leave the beautiful colors and crisp air of Canada behind as your family vacation comes to an end. • Activities at the Heli-Lodge may vary. Your guides will adjust as necessary to provide the best experience based on weather.